This is a FUN little book. The folks at Hatherleigh Press recently sent this to me. Dom and I both thoroughly enjoyed this gem. In fact, now it's a fixture on our guest bedroom nightstand. From Roy Rogers to Will Rogers, Gene Autry to John Wayne, cowboys have always been a part of America. Now, Cowboy Wisdom collects over 200 essential quotes from history, myth and culture about the defining era of the Wild West, including humor, wise words, and powerful quotations. Cowboy Wisdom is great for the lover of the cowboy days, western movies, and Americana. 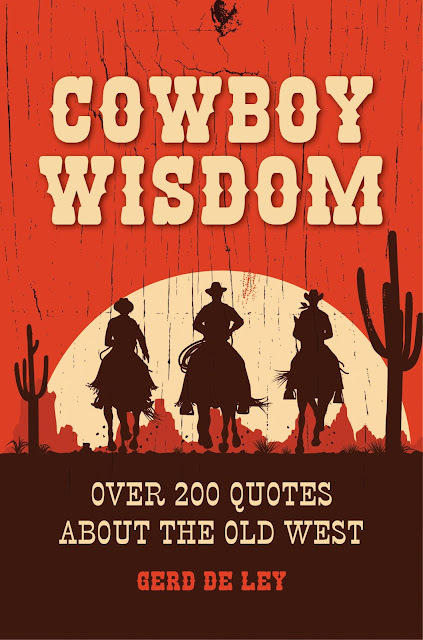 Cowboy Wisdom presents a carefully curated collection of fun, ribald, and classic quotes celebrating the spirit of the days gone by.